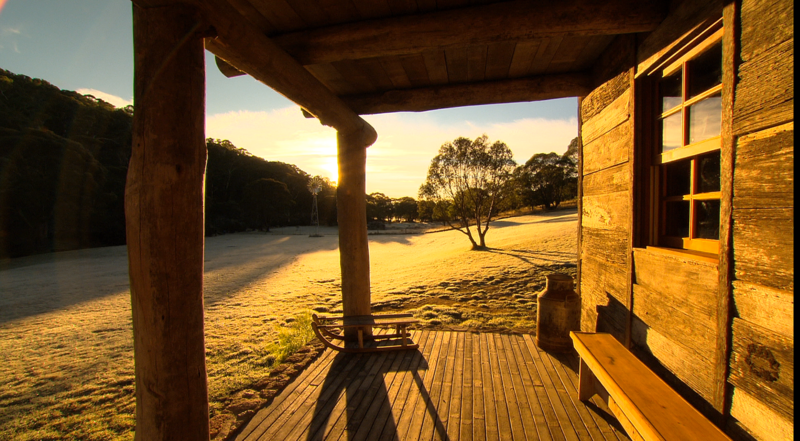 Moonbah Huts are ideal, unique summer or winter, getaways. The Moonbah Lake Hut is situated on a small private lake that holds Brown, Rainbow and Brook Trout. 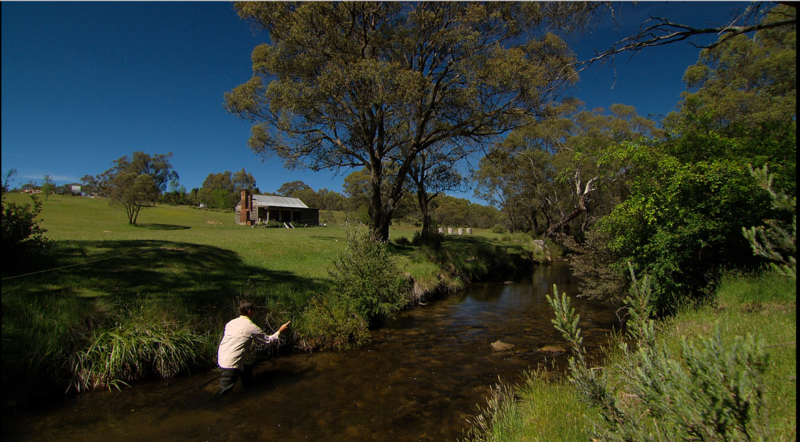 100 metres away is the famous Moonbah River, the regions premier fly fishing stream, alongside which sits the luxuriously appointed, Moonbah River Hut. 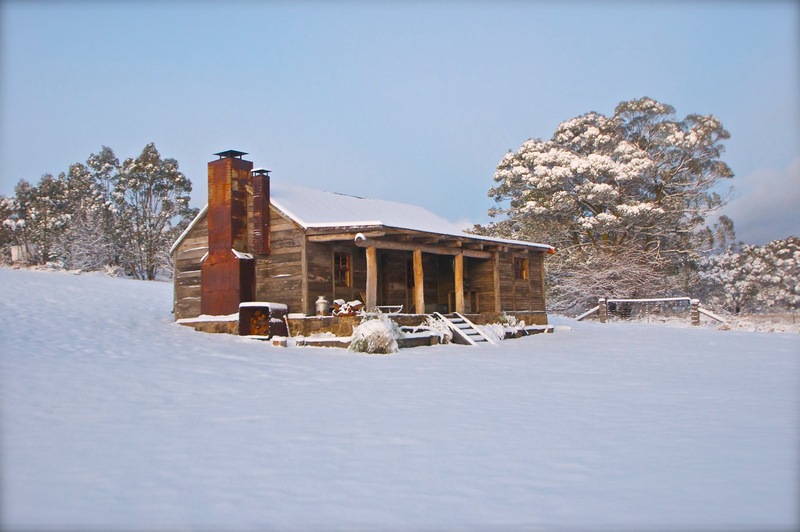 Check the Availability for Moonbah Huts. The huts are very cosy (even in -15c) with underfloor heating. 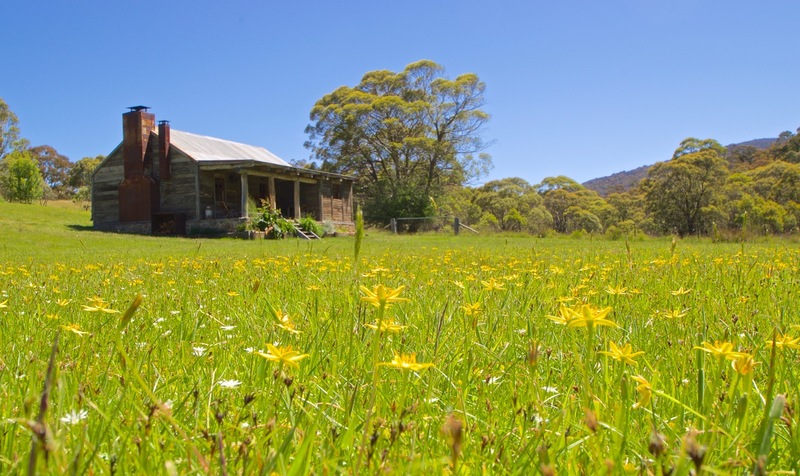 The Moonbah Lake Hut sleeps a maximum 4 people, ideally 2 adults and 2 young children. The Moonbah River hut sleeps a maximum 5 persons. The bedding is of the highest quality. 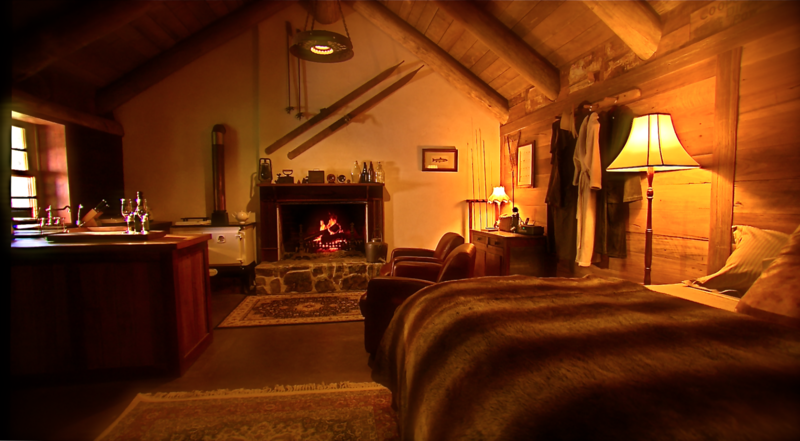 Both of the Huts feature huge, stone open fireplaces and with snow on either Christmas or Boxing Day, on 5 of the past 9 years, the fireplaces can be enjoyed on most nights of the year. Both Huts also feature wood-fired cooking stoves, (and twin electric hotplates), for cooking and a small fridge/freezer to store your catch in. All cutlery, crockery, cookware, etc is supplied. If you’re feeling particularly invigorated, go mountain bike riding, (Norco 24 speed suspension bikes are available for hire), or maybe take a dip in the cool, crystal clear waters of the Moonbah River. If all this sounds a little too tiring, just sit in the rocking chair on the verandah and read a book. Both Huts feature ‘inside’ bathrooms, (no outhouses here). Local telephone is connected and you can make long distance/mobile calls if required. The fishing is outstanding. Expert guiding or tuition, can be arranged. 2 hour beginner lessons are very popular. (Rods and all gear required, are available for hire). Moonbah Huts are not suitable for pets. There are few modern appliances, as the huts are very traditional – No television reception or Playstations! “Can’t believe we found this special place”. “What a work of art you have created with love and passion. How would we describe Moonbah Hut? A place of nurturing, a place of healing, a safe haven that cradles you at night. Thanks Brett”. “We came here and fell in love with the place – the valley, the fishing, the crisp country air and the lifestyle. We’re going back to the city, changed people. Thankyou, what a beautiful place”! DALE & BELINDA , ST HELENS PARK. The River Hut which my wife, 5 year old son and I stayed in, was the most magical experience we could have asked for. The rural location and surrounds, were the setting to magical nights at the fireplace, and day adventures into the snow slopes. The hut provided our family the relaxation we needed away from a busy Gold Coast City life. There is also so much wonderful wildlife on the gravel road drive to the hut as well. A short drive from Jindabyne where we stocked up was also a perfect distance away. Well done Brett, you’ve created something truly stunning.